ARIES: Good advice right now would be to stay grounded and alert. This is an unpredictable time as life is really changing right now. Though many of the changes will be freeing, it can still be disturbing. It can also be a difficult time when plans will not always go as predicted, and people can be harder to please. There is a great deal that you or others are unaware of and this can be detrimental to your ego, so watch those areas where one as too much pride. This can be particularly true when dealing with financial matters or paychecks. TAURUS: Somethings in life just feel destined even if they are necessary evil that have to be dealt with. You will continue to endure through situations that seem to just go on and on. This month features “odd couples” who just don’t seem to fit together well will come to your attention this month. Your intuition may be good this month but there will still be those situations that will not go exactly as you thought it might. Siblings are featured as well as situations where you or others who feel humiliated by the fact that they are used as scapegoats for others. GEMINI: Addictive behavior comes to your attention this month, whether it is dealing with a work-a-holic or dealing with someone who has a drug/alcohol issue. Children are also featured this month. But it is also a good time to check up on that “child within.” This is a month that features decisions as well as competitions and situations where there is selection/rejection. Authority figures also seem to figure prominently this month as does your own credibility. Justice and just rewards will also come to your attention. Sometimes the best way to handle things is to take the most natural path. CANCER: Advice as well as really listening are featured for you this month Cancer. It could be a great time to take the plunge just be wary that you are not taking any risks to your health. Listen to your gut right now, it will not let you down. Memories of difficult times seem to be haunting you from time to time this month. It is time to let go of these memories and to find that peace you so deserve. Peace of mind is important right now. It will be important to you overall health. LEO: This month highlights things like dinners out with friends or associates. A parent-child relationship could also come to your attention. The fact that it is so exciting meeting up with others that it could affect your sleep. You also seem to be more conscious of memories this month. It can also be speaking to the importance of mental consciousness and how it helps to make someone appear clever. The fact that some people are good at creating an issue and then letting the consequences of their actions fall on others. VIRGO: The fact that things seem to be done backwards can create it’s own chaos. Early mornings are featured, pain can also be a factor this month which doesn’t help either mornings or the chaos. This month features doing things differently, even changing parts of yourself. It is time for a makeover and new year’s resolutions. There could be some opportunities that could equate to money. But it might also be important to really stand your ground in certain situations even it means you have to be a monster in order to motivate others. LIBRA: The reality this month is that doing things over again will be necessary for circumstances to hit their mark. The fact that you or others will need to learn more about something could cause loss of sleep. Putting an end to something or stopping something is also featured, but it may be being alone is either the only way to do it. Then again in another situation it could also feature the end of being alone. Although depending others can cause it’s own issues. This month also features gaining information as you go about trying to learn the truth. Help in the eleventh hour is also featured. SCORPIO: in trying to be fair to others there could be a tendency to becoming the “patsy” which can be humiliating and can cause self-destructive tendencies. There could be attention paid to expenses this month and how intuitive someone can be when it comes to money. The fact that intuition could be shared between partners will also come to your attention. This is a time when you can be more more optimistic which is great for expansion and taking advantage of opportunities, but you also have to be careful of not over-reaching. SAGITTARIUS: This is a great month to stay home and listen to music, though it would also be a good time to check out a music hall. In some strange cases houses where people died could come to your attention. You or someone else could be moving a bit slowly this month. Maybe there is even a feeling of “why God me?” Taking time by yourself withdrawing from those more stressful situations in your life can be helpful. When things seem to get out of hand, even within the family, it is okay to go it alone. Sometimes silence is also helpful. Be careful of times when you might feel a bit lightheaded. 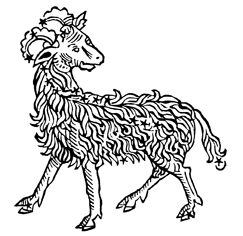 CAPRICORN: This month features things like beginnings of new tasks or responsibility that can take you or others by surprise. The attitude of “fake it till you make it” will come to your attention particularly with regards to serious matter where there are many complains and issues. This month also features news and communications. You could hear of an illness or situation that causes someone to be away from home. It will be important to remain logical when it comes to health related matters. This is also not a good time to take any risks that involve money. Things that excite a person can also be their weakness! AQUARIUS: A great deal of pressure makes it hard to please everyone. Bonding with others is featured particularly as it relates to your work and being productive. Being organized and structured in communications will be highlighted. There are times when this month can feel oppressive. It will be important for people to have clear boundaries, particularly with those they love. There needs to be an understanding that serving others can also lead to enabling. “Just do it attitude” can also lead to circumstances tempting one to seek out situations that one will be held to. PISCES: Sometimes people can be too nice! Problems can be solved by getting excited about something/someone. Health and health matters will have your attention this month, even if you pretend to feel well most likely you won’t. It is also important to speak out or speak up this month in order to clear up confusion and to avoid deception or disillusion. Listen to your gut (and that includes paying attention to what you eat) there are likely to be interruptions and disruptions because you or others could be dealing with an unusual situation where the traditional rules do not apply.